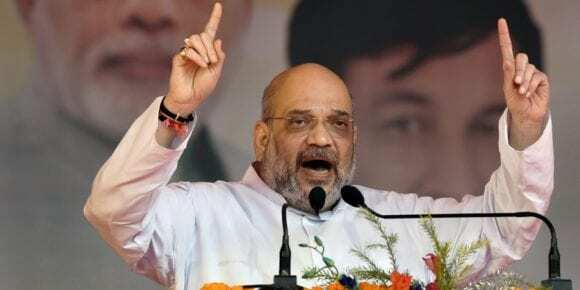 BJP president Amit Shah on Sunday accused the Congress of supporting “Urban Naxals” and said his party will put Maoists in jail if it is voted to power in Telangana. “Urban Naxals” is a word used to describe city-based supporters working in alleged front organizations of proscribed Maoist outfits. Labeling a public meeting in Nirmal district, Shah said, “Recently they (Urban Naxals) were arrested in Maharashtra. The BJP government there, led by Devendra Fadnavis, put them behind bars, but Rahul Gandhi helped them.” “Rahul baba, are you aware that hundreds of people in Telangana have died due to Naxalism?” he questioned. The BJP chief claimed Maoists were “hiding” in different regions of the state and said his party would look for them and send them to prison. “They have only two options — either join the mainstream or get ready to face jail,” Shah said. He also trained his guns at Telangana Rashtra Samithi (TRS) chief and the state’s caretaker chief minister K Chandrashekhar Rao, commonly known as KCR, for demanding reservation for minorities. The BJP chief stated that Rao-led Telangana government had forwarded a proposal to the Centre demanding 12 percent reservation for minorities despite knowing that it is not possible to do so. “You don’t worry. Even if KCR, the Congress, the TDP and Communists come together, I guarantee that till the BJP government is in the Centre, the religion-based reservation will not be given,” Shah said. He accused Rao of failing to give employment to the family members of those who sacrificed their lives during the Telangana statehood movement. 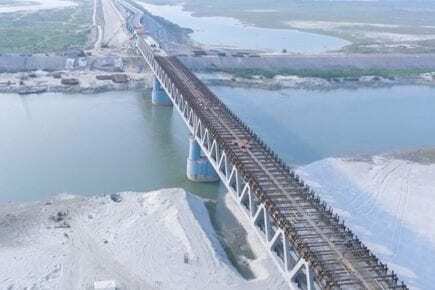 Shah claimed Prime Minister Narendra Modi-led central government had given over 2.30 lakh crore for Telangana’s development in the last four and half years, but the funds had not been utilized for the state’s development. “Over 2.30 lakh crore has been given by the central government to Telangana. Had it been any other state, problems would have been solved long back by utilizing these funds. He (KCR) is not concerned about the children of Telangana, but only about his son and daughter,” he alleged. The BJP chief told the gathering that he had brought a message from Modi which asked the people to bring the party to power in the 7 December Assembly polls so that Telangana can be developed as a model state. 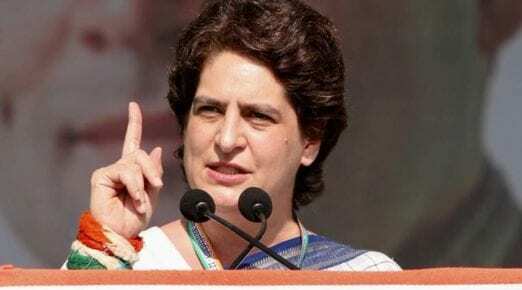 Shah said the polls will decide the future of every child in Telangana and asked people to strengthen the hands of Modi by defeating the TRS and other parties.